You are here: Home / Health & Parenting / MyChart / Flu shot or nasal spray? That is the seasonal question. With cold and flu season upon us, getting vaccinated should be at the top of your family’s to-do list this fall. Flu can be a serious illness, especially for high-risk patients, including young children and kids with chronic conditions, such as asthma. The Centers for Disease Control and Prevention (CDC) reports 178 flu-related deaths in children during the 2017-18 flu season. Of these cases, nearly 80 percent of the children didn’t receive a flu vaccine. Flu symptoms usually start suddenly and may include fever, cough, sore throat, runny or stuffy nose, muscle or body aches, headaches and fatigue. But with conflicting recommendations on how vaccines should be administered, many parents are left wondering whether to get their kids the traditional inactivated influenza vaccine shot or the live, attenuated influenza vaccine nasal spray. For the 2018-2019 flu season, the CDC has stated both the flu shot and FluMist nasal spray are safe and effective in avoiding the flu. However, the American Academy of Pediatrics (AAP) disagrees. It recommends kids should receive the flu shot and only use FluMist as a last resort. 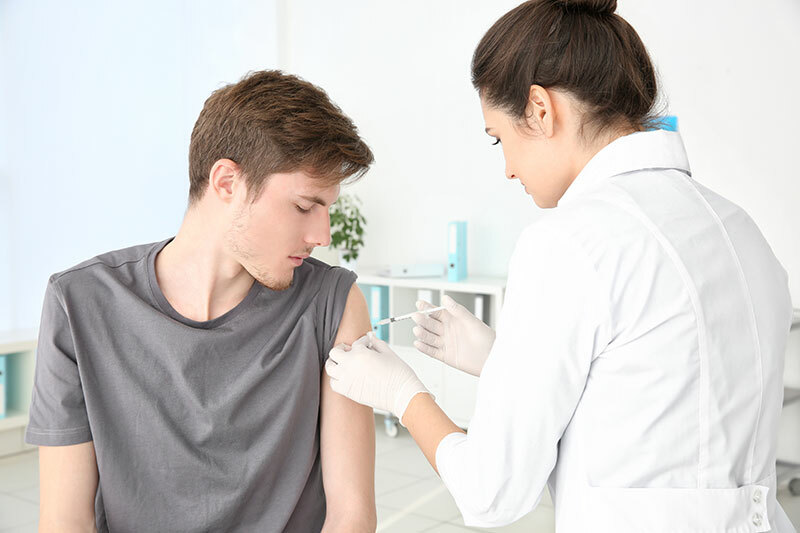 In the previous two flu seasons, the nasal spray was not recommended due to studies that revealed a lower effectiveness of the live vaccine administered through nasal spray versus the flu shot. Today, the CDC says it’s safe to give the nasal spray vaccine to healthy, non-pregnant women ages 2 through 49, based on a study by the manufacturer suggesting its new formula would be effective. However, the efficacy of this new formulation has not yet been determined. The CDC goes on to suggest that some people should not get the nasal spray because of age, health conditions or other reasons. Instead, most of these people should get an injected flu vaccine. The AAP recommends the shot over the nasal spray because it finds the flu shot to be more consistently effective against most strains of the flu after reviewing data from recent flu seasons. But, it agrees the nasal spray may be a last resort for kids who otherwise will not get vaccinated. MyChart makes it easy to schedule your flu vaccine at Akron Children’s pediatrics offices whether on your computer, smart phone or tablet. If you already received the flu vaccine outside of Akron Children’s, you now can update your records in MyChart with this information. For questions about scheduling your flu vaccine, or MyChart in general, call 330-543-4400 or email mycharthelp@akronchildrens.org.